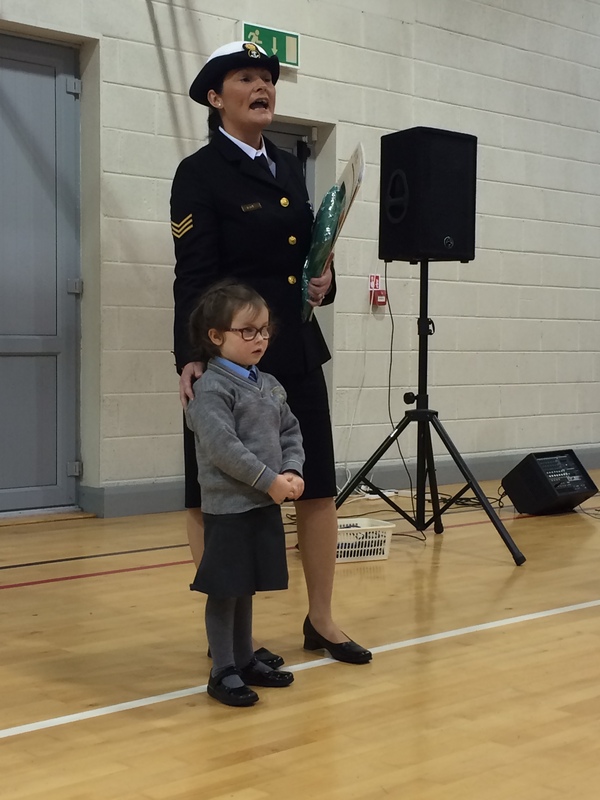 Last Thursday, our school was visited by the Defence Forces who presented us with our National Flag and a copy of the Proclamation of Independence as a part of the national celebration of the 1916 centenary. 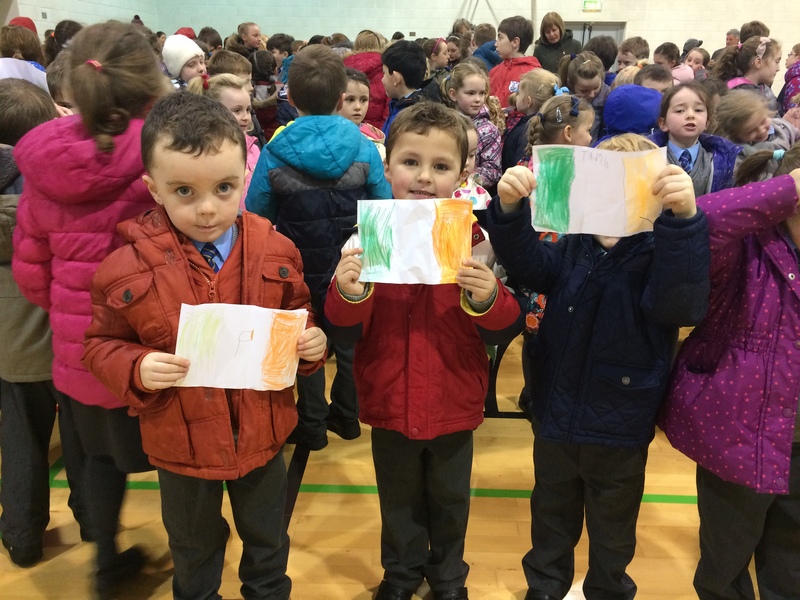 Here in Junior Infants we talked about our national flag and made our own little flags. 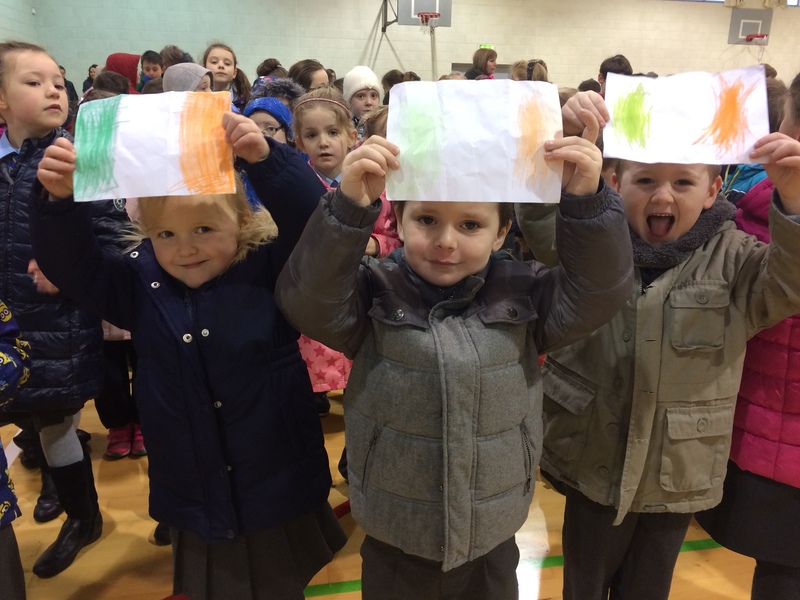 We also talked about our national anthem and listened to a recording of it. 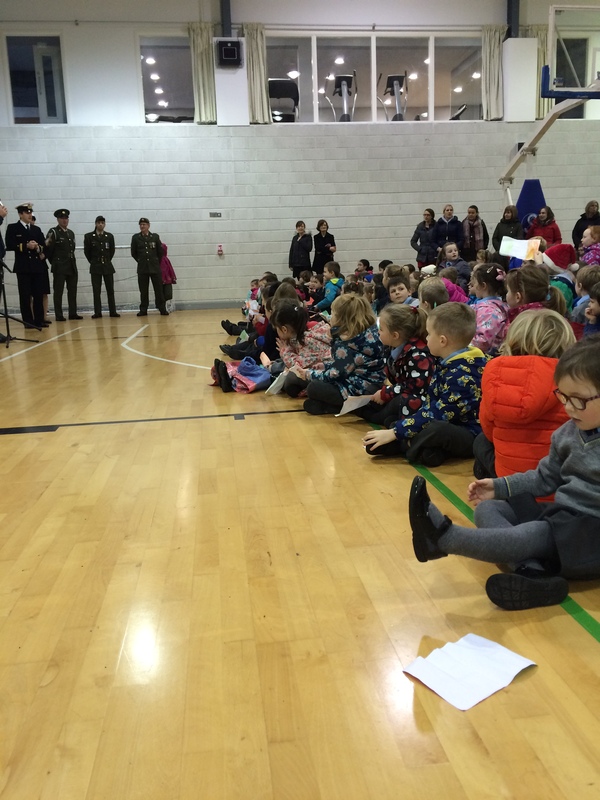 It was exciting to go up to the sports hall with the rest of the school to be a part of the presentation. 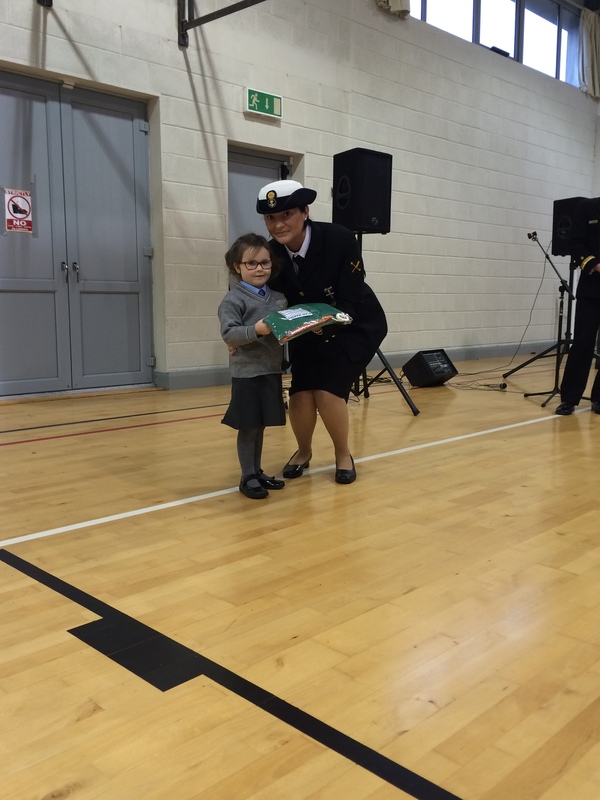 Our classmate Rose did a great job of accepting the flag on behalf of the school. Well done Rose!